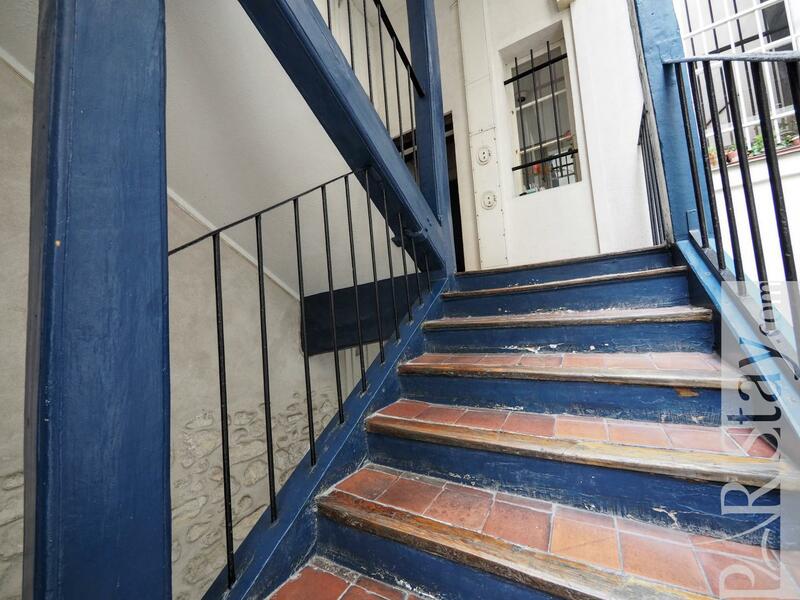 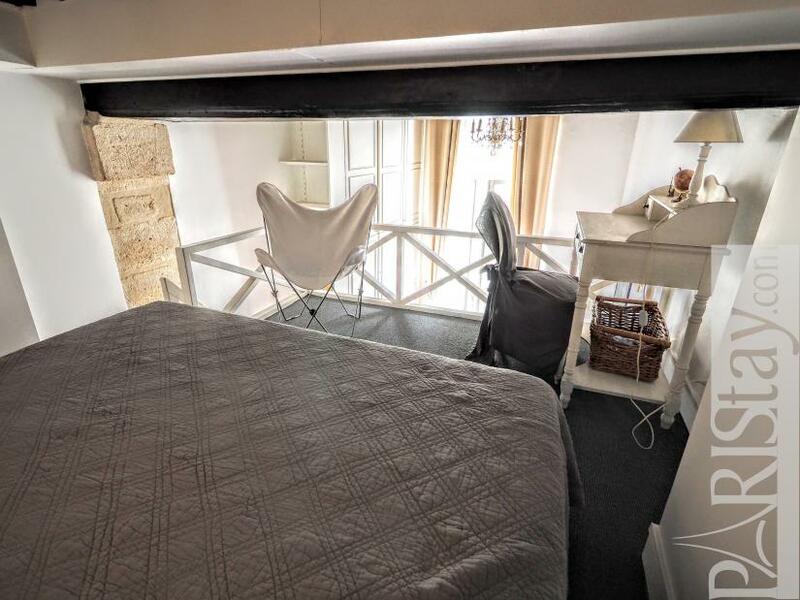 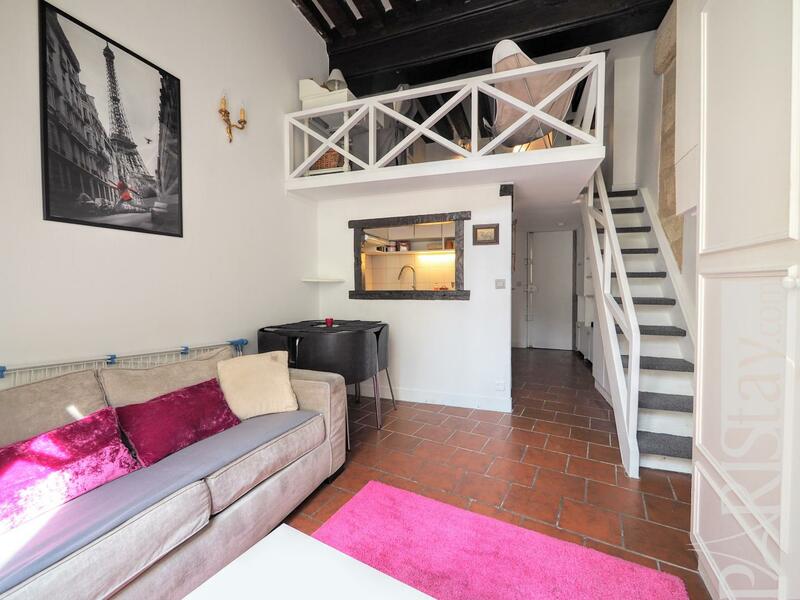 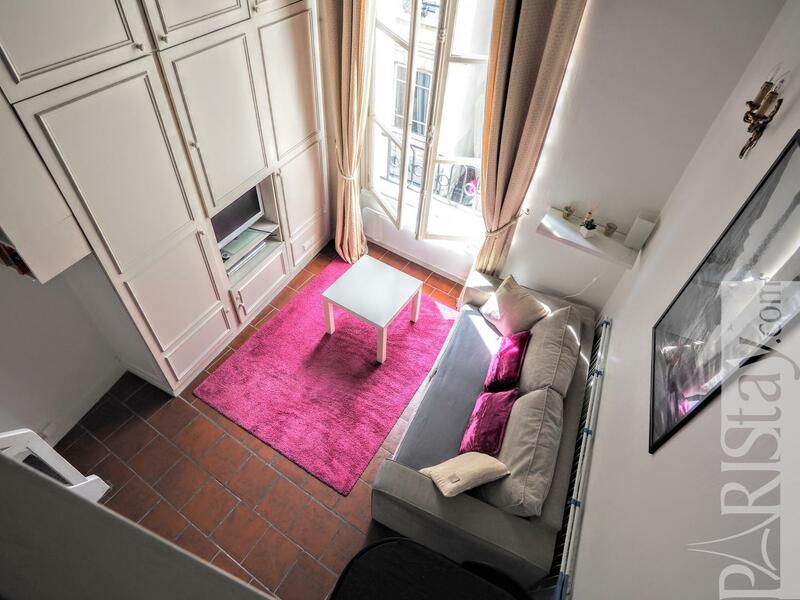 Charming Paris furnished studio with mezzanine perfectly located in the heart of Paris, close to the Beaubourg museum and the lovely Marais area. 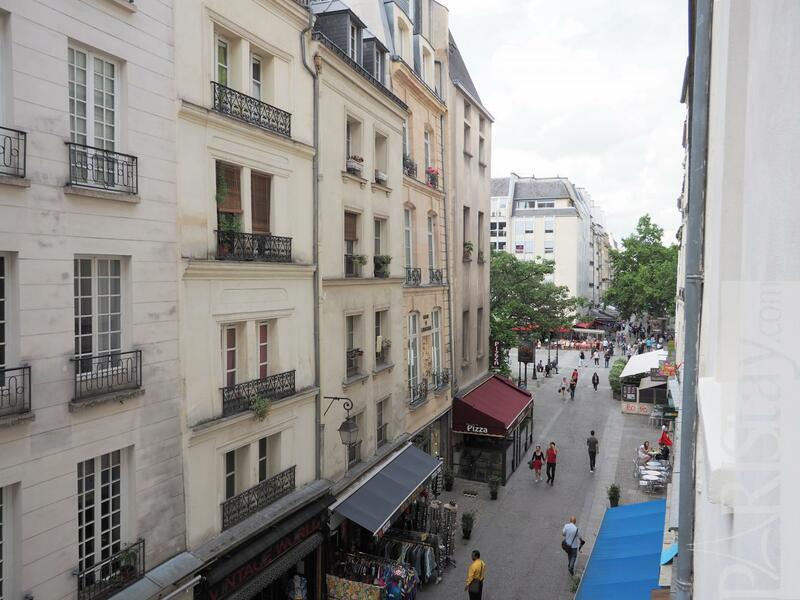 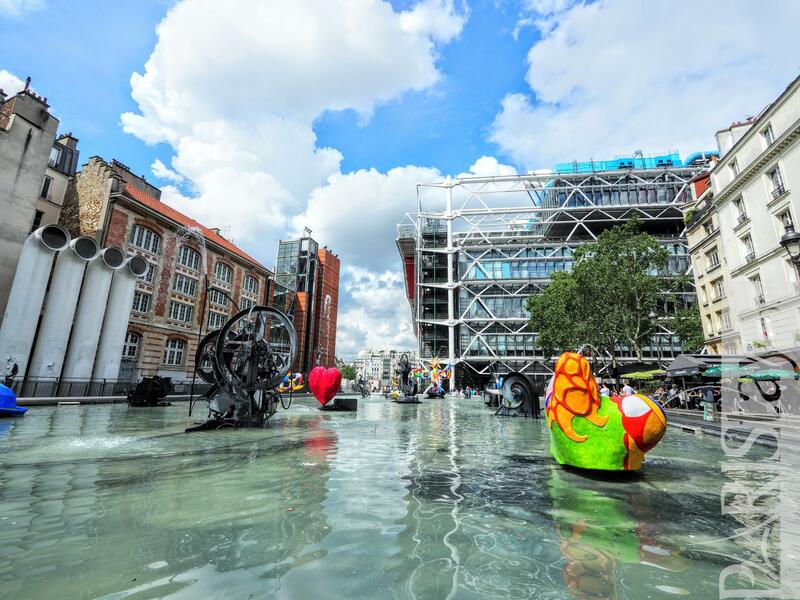 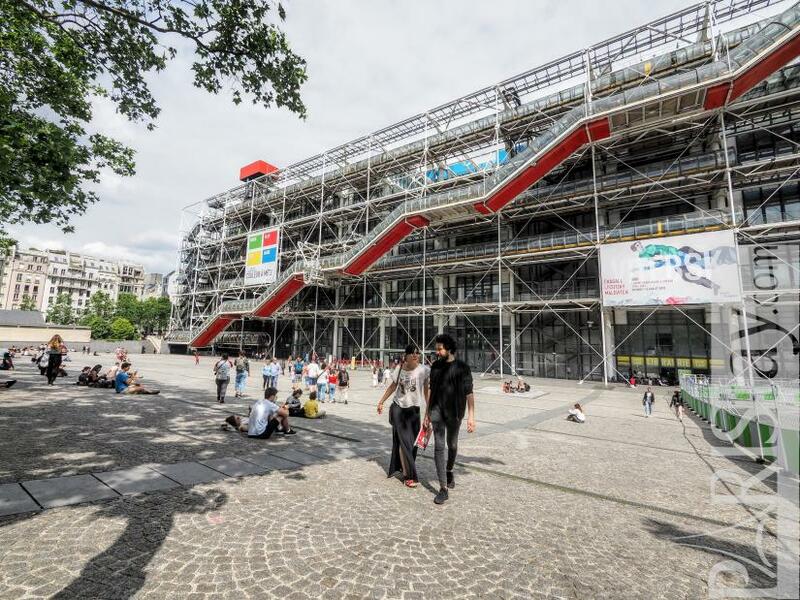 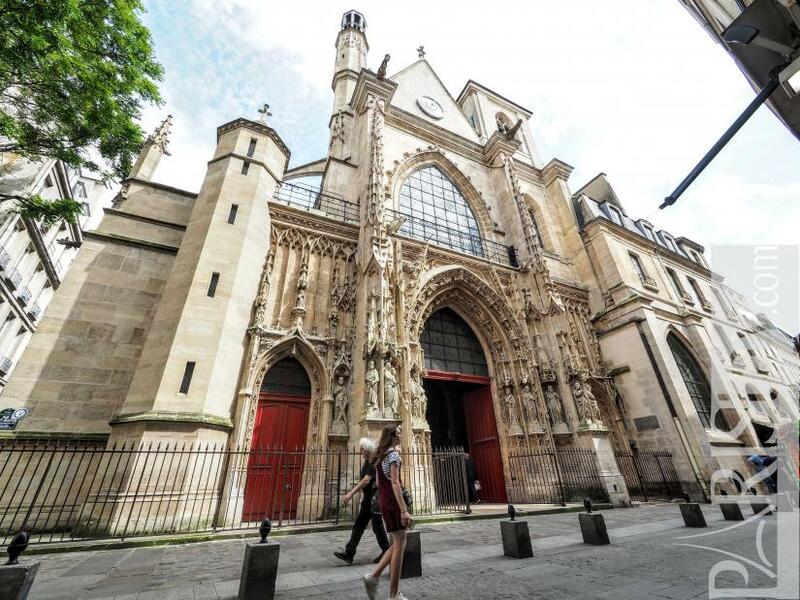 Steps away from all the local groceries, bakeries, markets, trendy cafes and restaurants as well as designer shops and the Georges Pompidou Center. 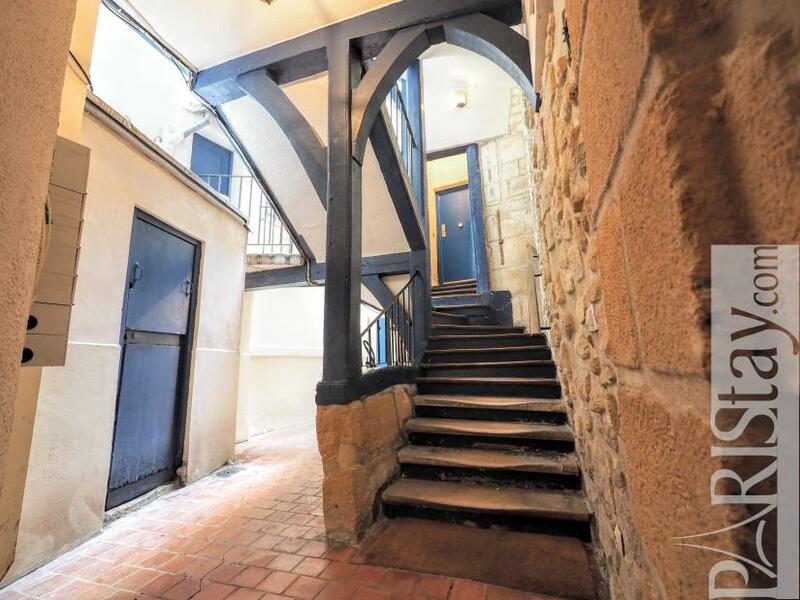 This apartment is situated on the 2nd floor with no lift of a historic building with a magnificient staircase of the 16th century. 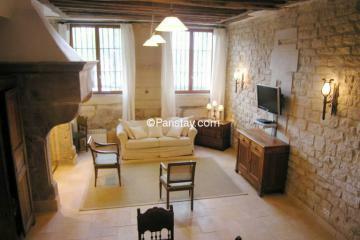 It has been fully renovated and is nicely designed. 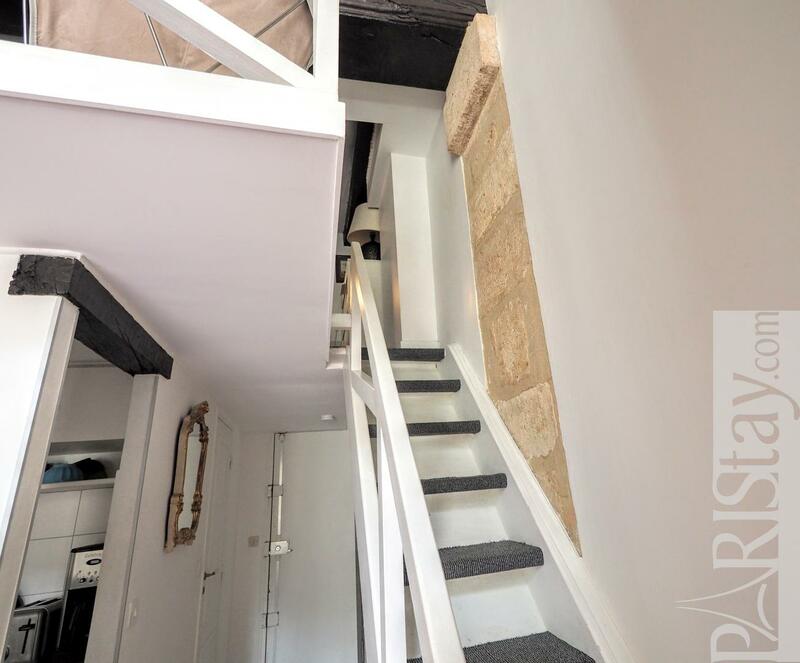 The living room area offers great volumes to welcome a comfortable mezzanine with a double bed (access by a secure staircase) and a huge closet for all storage. 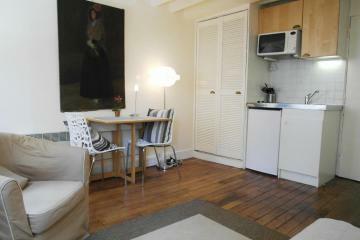 Comfortable sofa bed; dining table for 4 people, separated equipped kitchen open to the living room. 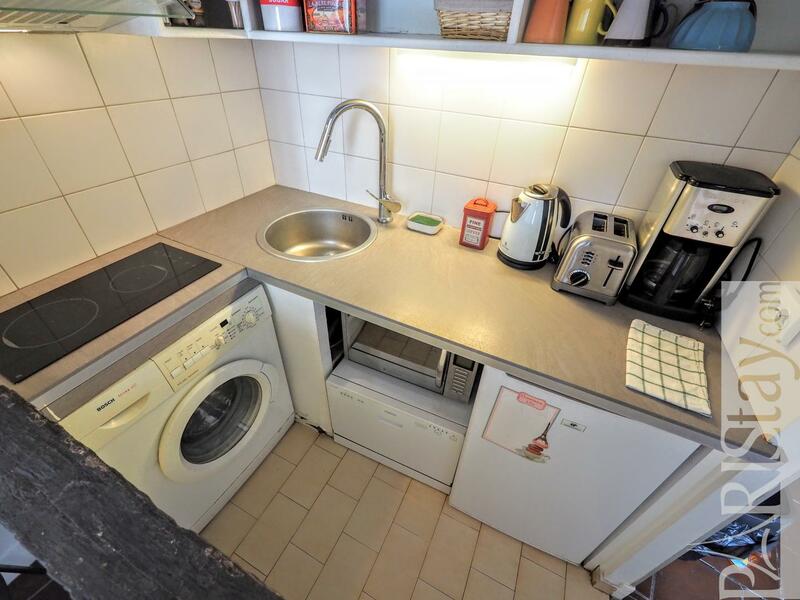 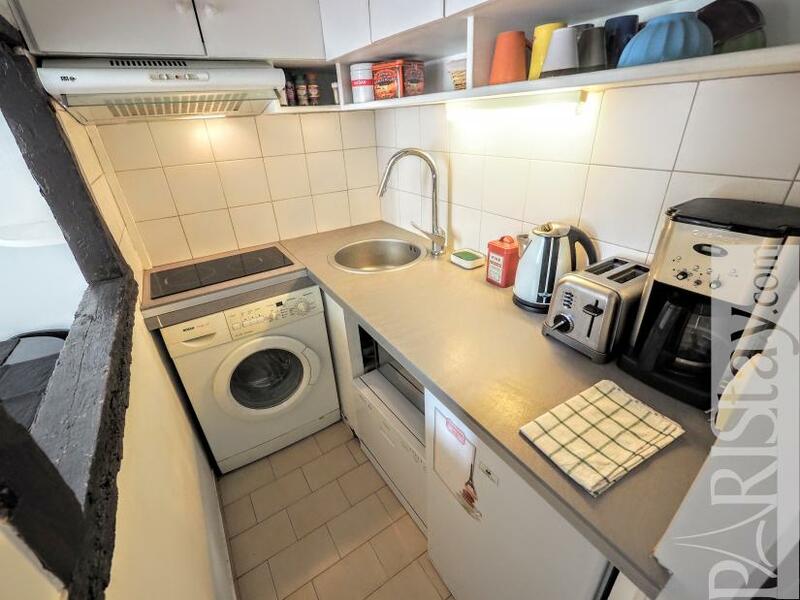 The kitchen area contains all the appliances and utensils that you need to cook. 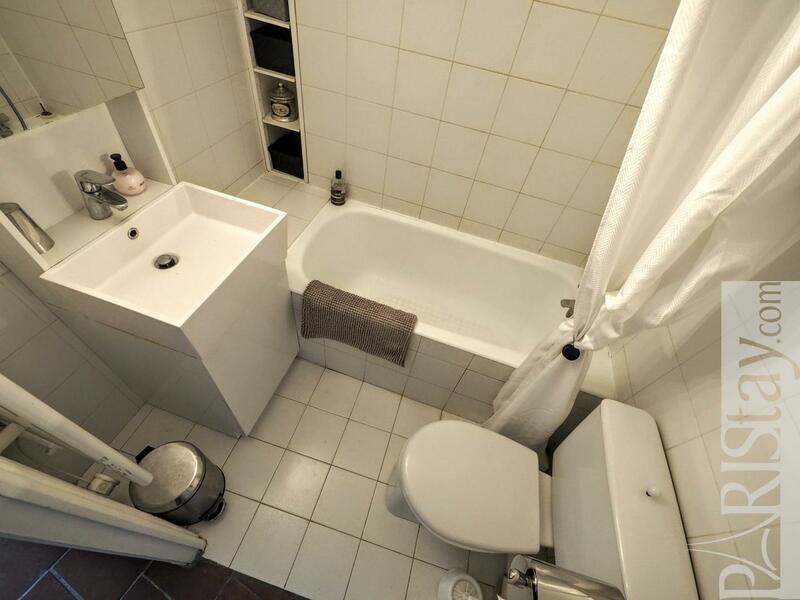 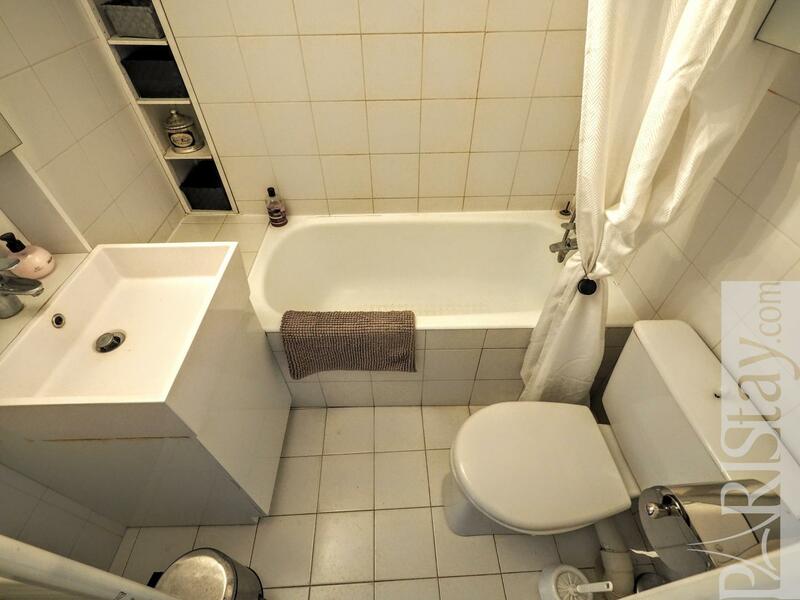 Bathroom with a bathtub and toiles. 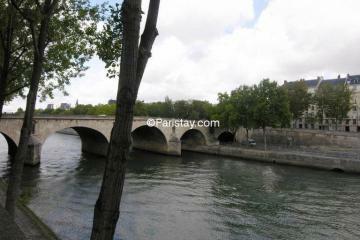 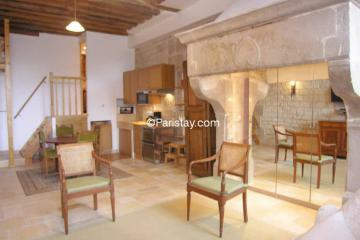 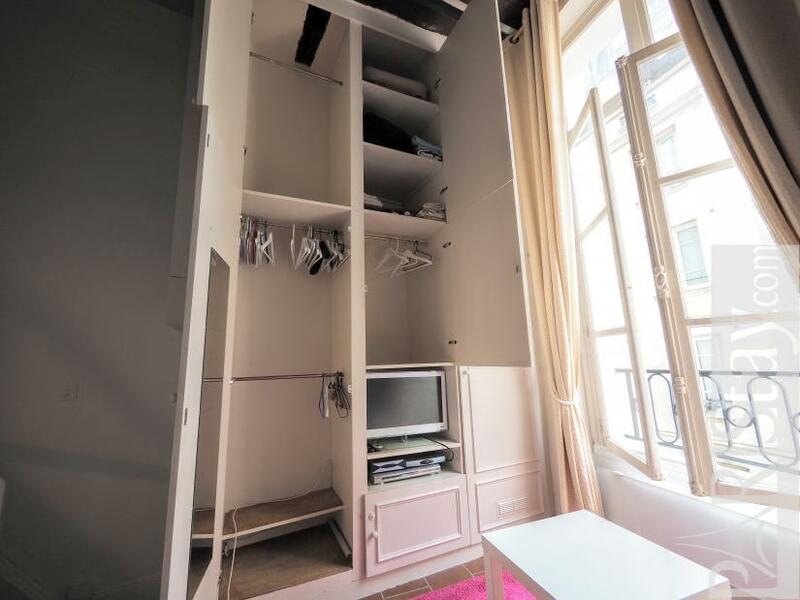 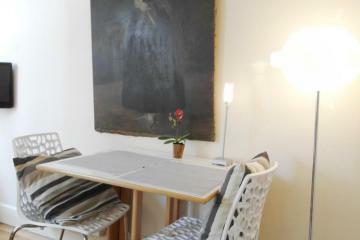 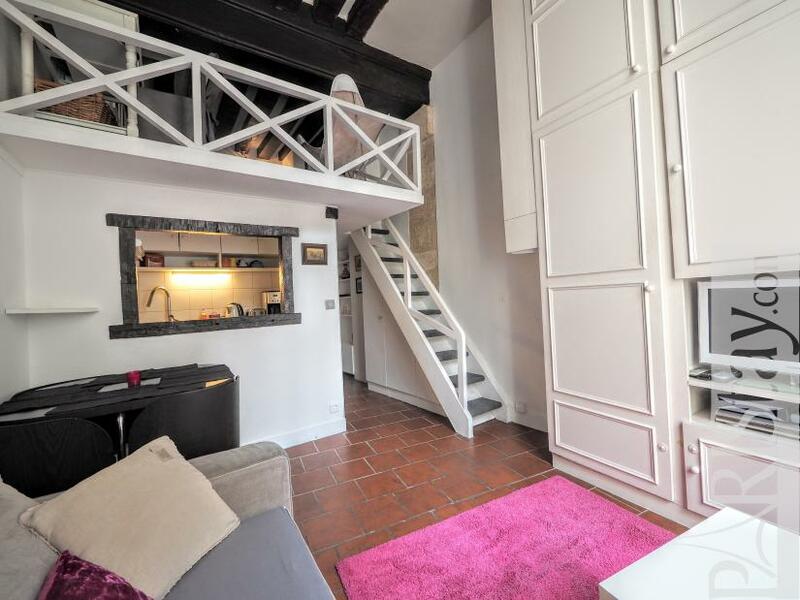 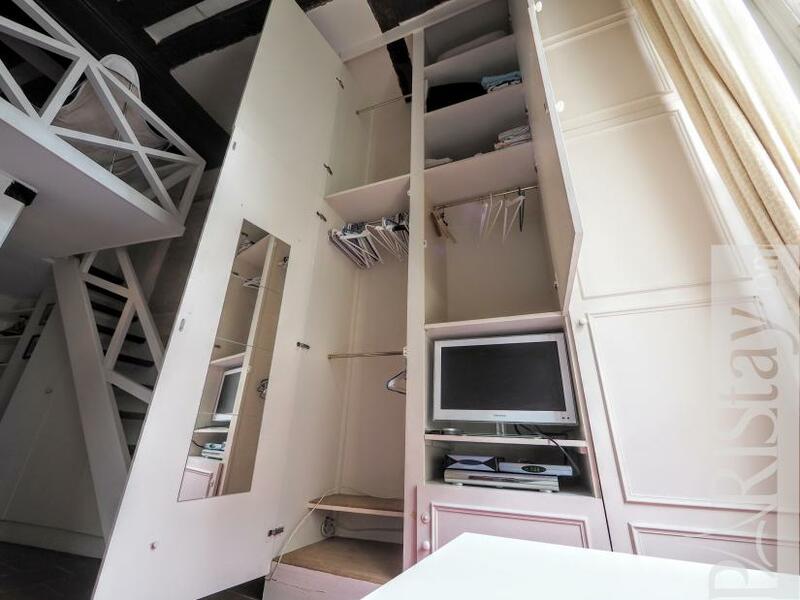 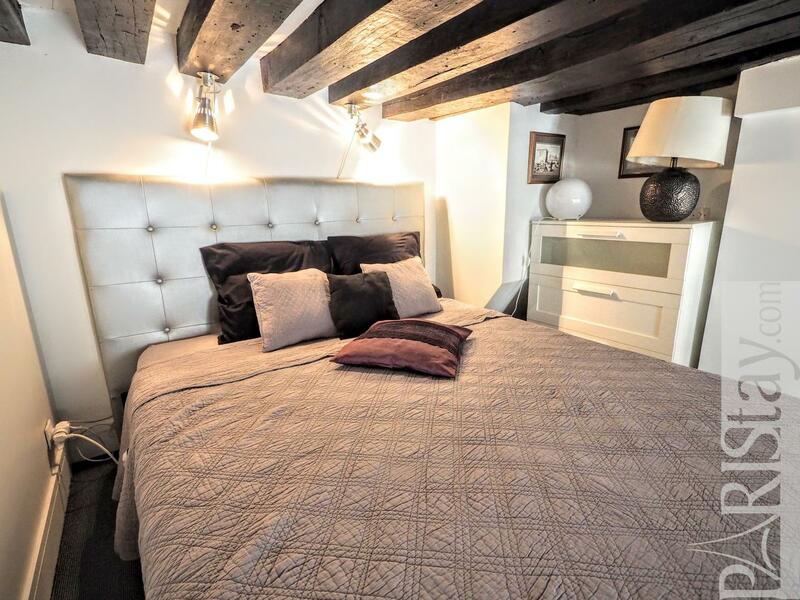 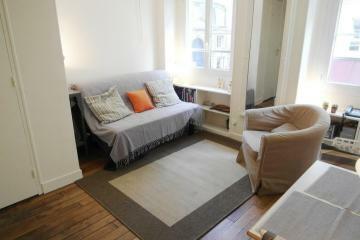 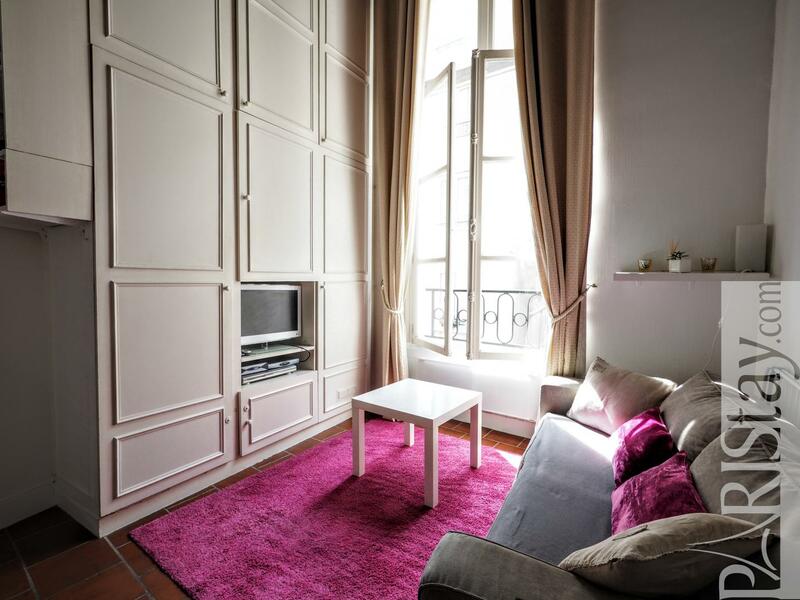 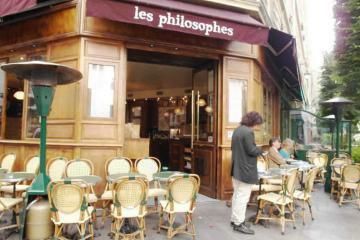 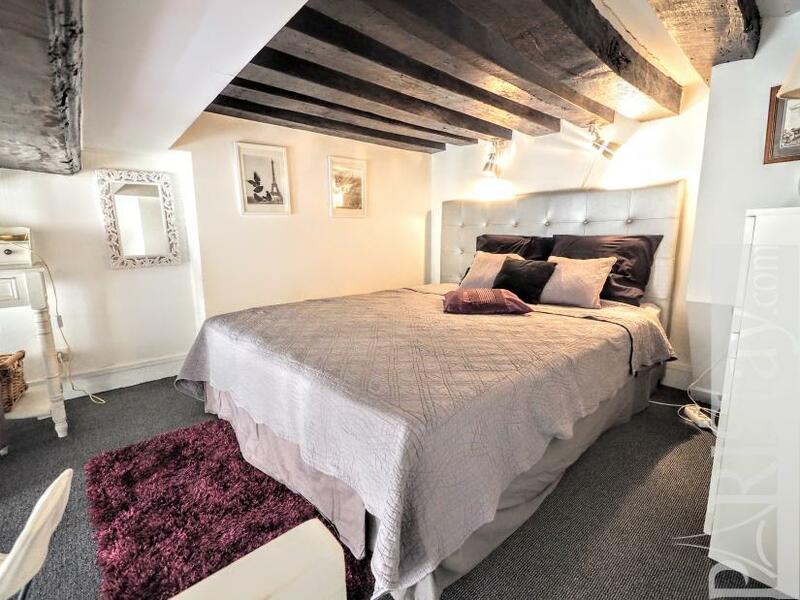 This apartment is perfect to suit a single person or a couple for long term rentals in Paris. 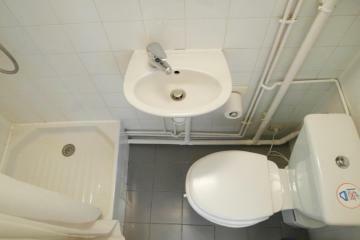 Please note: full internet access is included. 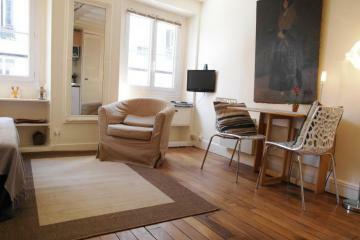 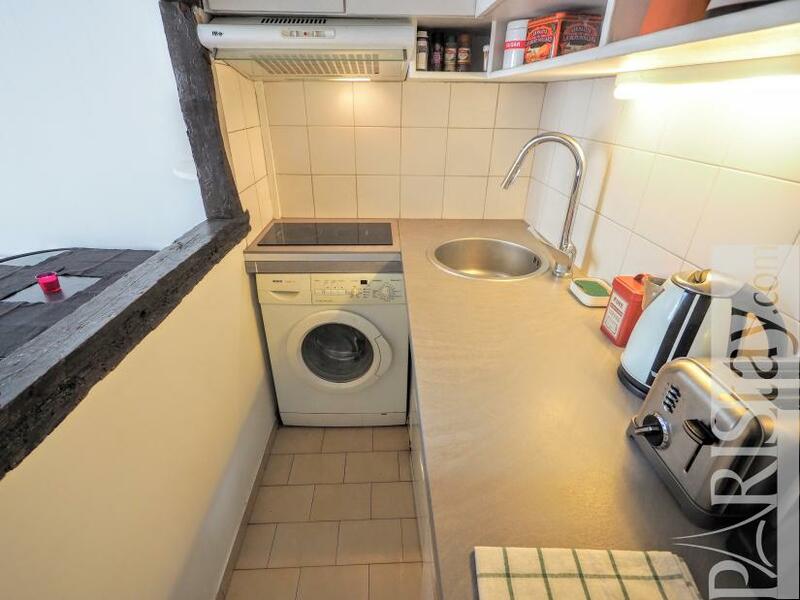 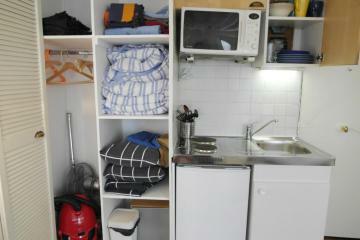 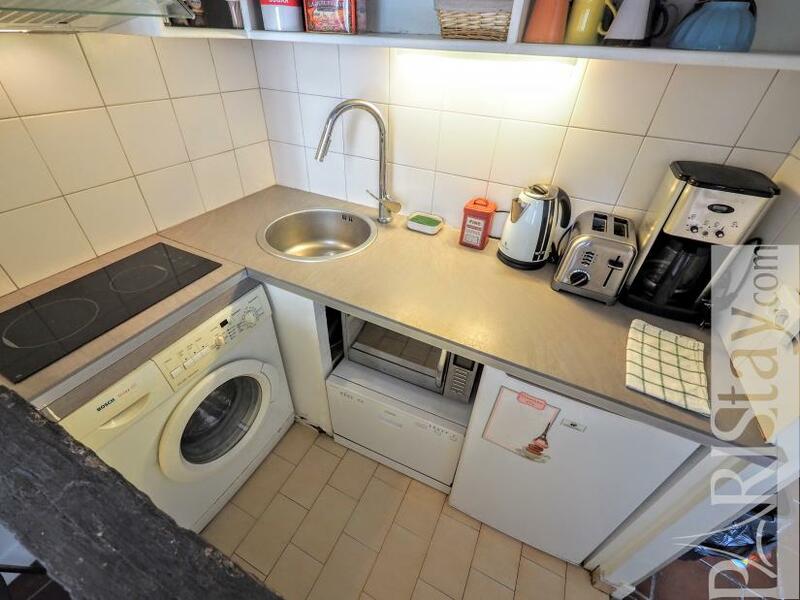 2 nd floor, without Lift, Studio Appartement, furnished, Approx: 18m² / 194 Sq.Ft.